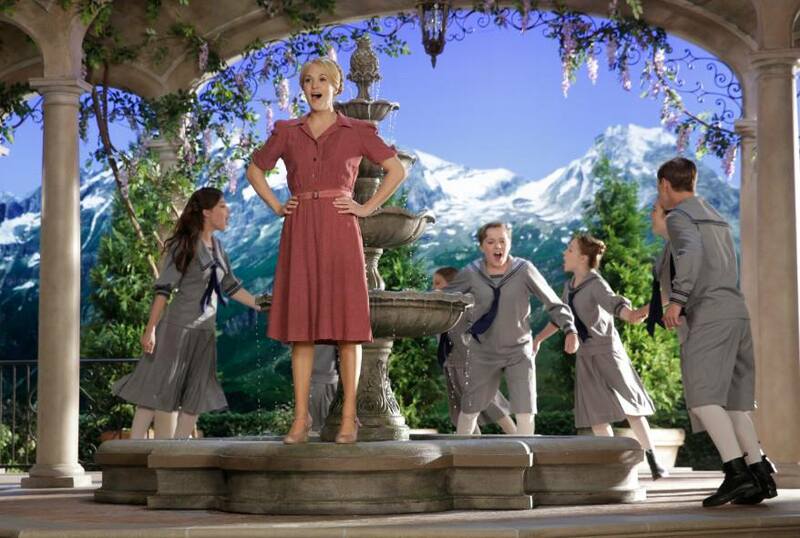 The airwaves were alive with The Sound of Music last night as US network NBC premiered their eagerly anticipated holiday special that they, along with theatre fans around the word, hope will become an annual event. With lead performers coming from country music, television and Broadway royalty, the cast list was a unique combination, but the biggest point of difference for the project was the fact they were performing the original stage version (except for one song) rather than the incredibly well known movie version. 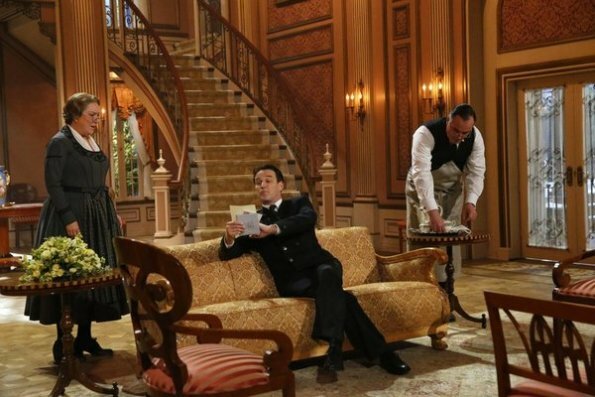 On purpose-built sets on a New York soundstage, the cast have rehearsed for some fifteen weeks in preparation for the historic live telecast. As with regular movie musicals, singing tracks were recorded in advance, but performances will be live, overseen by theatrical director Rob Ashford and television director Beth McCarthy-Miller. 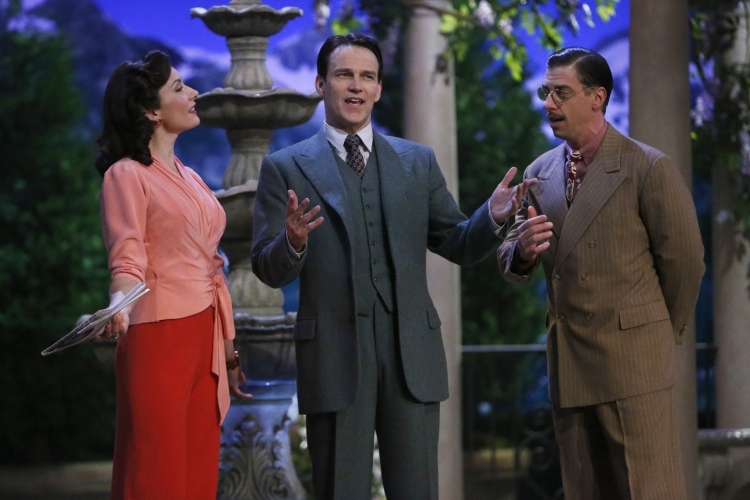 Executive Producers Craig Zadan and Neil Meron, of Chicago and Hairspray fame, decided to base the performance on the original 1959 stage version of Rodgers and Hammerstein’s musical classic, rather than risk comparison with the beloved movie. * Maria sings “My Favourite Things” with the Mother Abbess in her office, rather than on her bed during the thunderstorm. * The song sung during the thunderstorm in the stage version is “The Lonely Goatherd,” meaning it is not performed with marionettes. * “I Have Confidence,” one of two songs written for the movie by Richard Rodgers, is not included in this performance. * On the other hand, “Something Good,” written to replace original stage duet “An Ordinary Couple,” is used in this production. 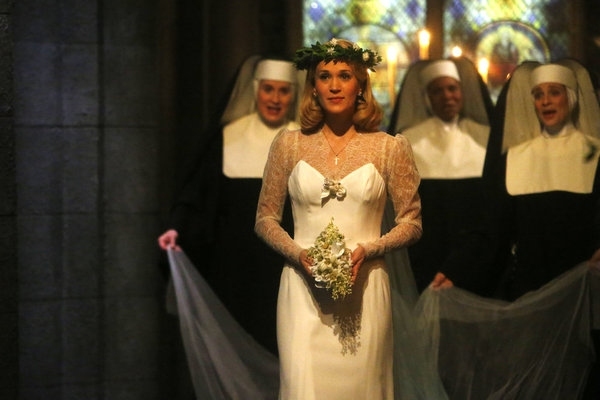 Country music star Carrie Underwood took on the iconic role of Maria von Trapp, playing opposite True Blood’s Stephen Moyer as Captain von Trapp. Underwood’s wide-eyed, blonde good looks add to her appeal as a leading lady, and she proved herself an earnest and engaging, if not entirely natural, actress. Her expressive, throaty singing voice brought a new sound to the role compared with Julie Andrew’s bell-like soprano. Given Moyer’s heavy-lidded, lethally vicious interpretation of vampire Bill Compton, he was surprisingly impressive in this music theatre role, singing with a breathy, gentle tone, which, while not achieving a legato tone, was nonetheless very pleasant to hear. Moyer captured the forbiddingly stern nature of the widowed Captain, before melting hearts as he warms to outspoken governess Maria. He and Underwood enjoyed fine chemistry. In a nifty piece of colour-blind casting, which brings to mind her breakout role as Carrie in Carousel, five-time Tony winner Audra McDonald brought out the full operatic tines of her soaring soprano as Mother Abbess. Laura Benanti, a Tony winner for 2008’s Gypsy, played against type as the self-serving Elsa Schrader, adding an extra touch of class with her gorgeous singing voice. Christian Borle seemed an inspired choice for quirky Uncle Max, but lost a good deal of the humour by focusing so hard on playing the role straight. Further touches of Broadway experience and class came from Kristine Nielsen as weary but warm housekeeper Frau Schmidt and Christiane Noll as Sister Margaretta. 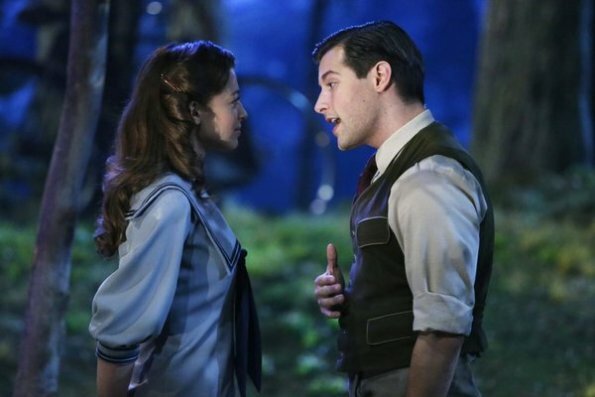 As young lovers Rolf and Liesl, hunky Michael Campanayo and dewy-eyed Ariane Rinehart shone, delivering a stirring “Sixteen Going On Seventeen,” reimagined here as a forest romp. 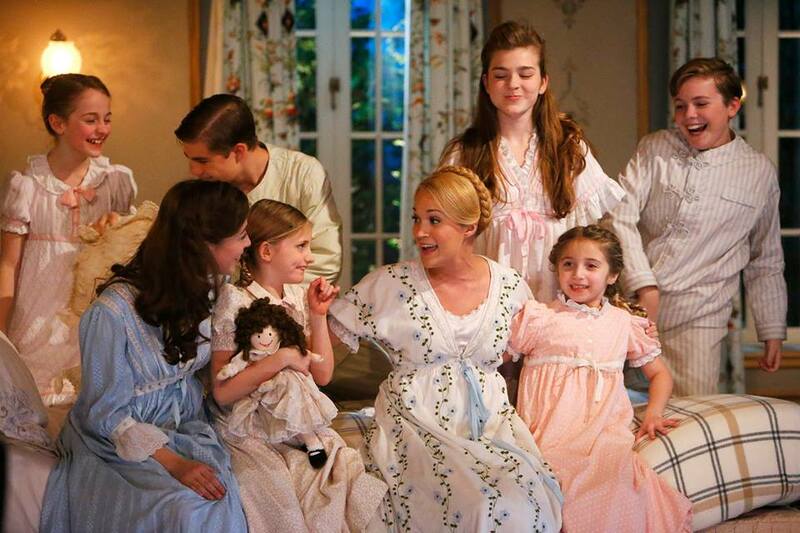 The other children were equally adorable triple threats, featuring Peyton Ella as dear little Gretl, Grace Rundhaug as kind-hearted Marta, Sophia Anne Caruso as wise-before-her-time Brigitta, Joe West as outspoken Kurt, Ella Watts-Gorman as dreamy Louisa, and Michael Nigro as fast-growing Friedrich. Singing by the nuns was excellent, especially during the wedding procession. Legendary Broadway costume designer Catherine Zuber’s costumes were smartly attractive, with costume changes achieved as impressively as would be expected in a live theatre performance, although theatres at least have the advantage of easily accessible wings. Colours were muted, and designs decadently eye-catching and yet entirely realistic. Attention to detail showed evidence of abundant research. The children seemed to score the most interesting and intricate costumes; the girls’ outfits for the wedding were nothing short of incredible. Derek McLane’s sets, while not especially technical or flashy, compared very favourably with the current standard of stage productions, perhaps being more numerous and a little more richly detailed. Hazy blue snow-topped Alps made for a suitably noble background. The transitions when Maria left the Captain’s house to return to the Abbey, and when the family moved from the house to the Festival Concert were both expertly handled. Love it or loathe it, The Sound of Music was an terrific choice for this costly experiment, not seen on Broadway since 1998. The Sound of Music Live! may have missed the atmospheric buzz of a live audience, yet had a vibe of infectious fun and an air of polished elegance, and featured a lovingly fresh look at the revered classic. Hopefully the screening will be shown on Australian television before too long. I was enthralled with the live TV production of The Sound of Music. The best was viewing a live theater, no seconds, in the comforts of my home. I loved Carrie and her cast, especially the children. Kudos to the very brave cast, producers, stage designers, all hard working people to complete this live theater. Congratulations! Thank you so much for your adventurous and hard working ideals. Thanks for your comment Marie! Glad to hear much you enjoyed it! I have watched the production again tonight and I think I liked it even more the second time around. Definitely one to be enjoyed again and again in the future. Hopefully there will be more telecasts like this in years to come! Enjoyed reading your full review of The Sound of Music. Found a couple You tube clips on rehearsals. Is it available as TV catch ups on 7Yahoo etc. Have you seen 50 Years on Stage I am thinking go going to see it during the week. So far this has only aired on US television. Hopefully it will be on in Australia soon as I think that (nearly) everyone in the family would enjoy seeing it. I have watched National Theatre’s 50 Years on Stage and it is excellent. So many great actors, and a wide variety of clips. I highly recommend seeing it.